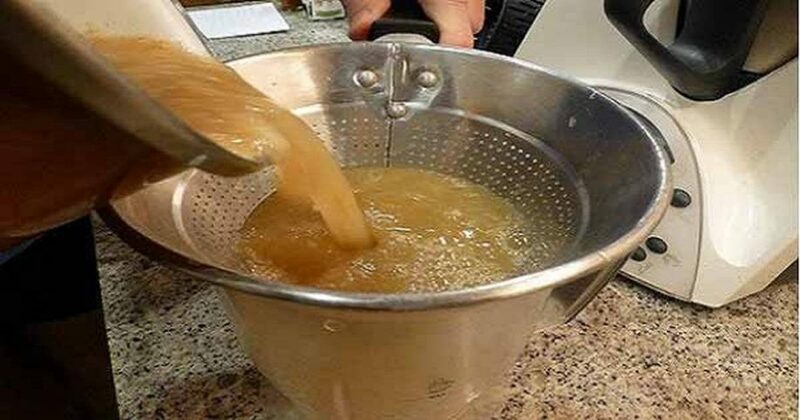 Prepare Ginger THIS Way to Prevent Cancer, Reduce Cholesterol And Lower Blood Sugar Levels! How do you like your ginger? Do you stir-fry it, bake with it, or steep it as a tea? There are endless ways to enjoy this much-loved spice, with new recipes popping up constantly. If you don’t feel like preparing a ginger-filled meal or cup of tea every time you feel a little ill, there is a way to prepare and all-healing syrup that can be stored for weeks in your refrigerator. While ginger is most well-known as a cure for stomach ailments like motion sickness, morning sickness, colic, upset stomach, gas, and diarrhea, it has a multitude of other benefits that aren’t as well appreciated (1). Ginger has the ability to decrease aortic atherosclerotic lesion, lower plasma triglycerides, and cholesterol, low-density lipoprotein (LDL). It also has the ability to inhibit cholesterol biosynthesis (2). The spice has also proven to help manage diabetes by increasing glucose tolerance, and increasing insulin production. Researchers have also found promising colon cancer-preventing compound in the mighty root. The Journal of Arthritis and Rheumatism published a study that found that two varieties of ginger, Zingiber officinale and Alpinia galanga, moderately reduced knee pain while standing and walking as well as general chronic pain from osteoarthritis (3). Just take a spoonful when your joints are sore or your stomach isn’t right. Boil the filtered water in a small saucepan and add ginger. Simmer for 5 minutes, remove from heat, and steep for 20 minutes. Strain the ginger chunks from the water. Make syrup by combining half a cup of ginger water with the sparkling water, lime juice, and honey. 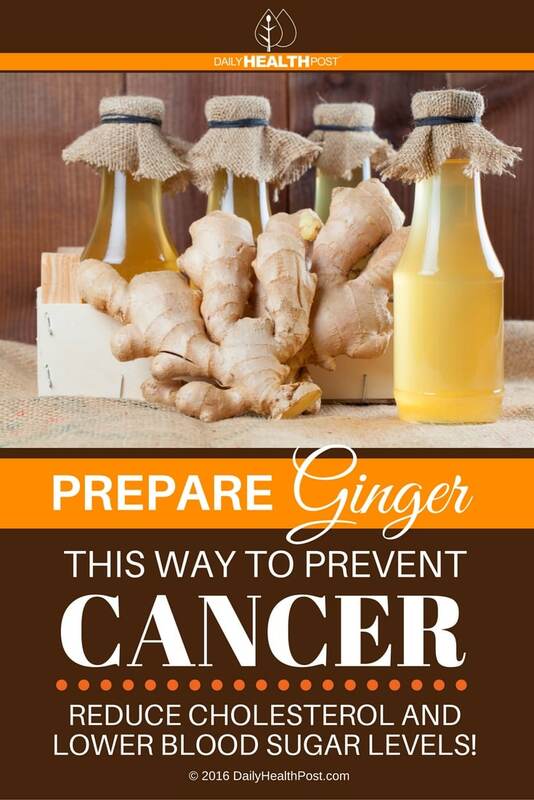 Latest Headlines » Nutrition » Prepare Ginger THIS Way to Prevent Cancer, Reduce Cholesterol And Lower Blood Sugar Levels!